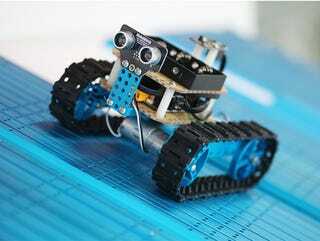 Want to build your own robotic car or tank? The Makeblock Arduino Starter Robot Kit gives you all the tools and instruction you’ll need to build a fully functional, Arduino powered robot. The kit normally retails for $150, but Jalopnik readers can get it for just $75 - 50% off - with code MBLOCK.